It is a healthier option because copper naturally alkalizes the water and small amounts of the trace copper, which is a very important mineral required for several vital tasks of the body, gets leached into the water. It acts as a natural self-sterilizer. Copper has a fatal reaction on most of the bacteria, viruses, and fungi and thus kills almost all of them. Unlike iron, copper oxidizes in a very different manner. When iron oxidizes, it leads to the formation of a reddish brown substance known as rust. It weakens the metal. But in the case of copper, as it ages it develops a patina onto its surface which is green in color. This does not affect the strength of the copper adversely, which means copper utensils can last you for ages without getting it damaged too much. Copper is one mineral the human body cannot synthesize on its own but is required by the body for completing several important tasks. Our body needs copper for the formation of our sensory cells, to recover from injuries, etc. The best way to fulfill the daily requirement of the body of copper is by consuming copper treated water on a daily basis. And since it is naturally occurring copper it gets easily absorbed by the body. We all are very much aware of the fact that our environment is deteriorating at an alarming rate. When talking about land pollution, there are two things which can be blamed for the same and those are plastic bags and plastic bottles. Not only this, bottled water is extremely unhealthy for you as the chemicals from the plastic bottle get leached into the water, making it unfit for drinking. On the other hand, copper water bottles are not only much more long lasting they are in no way harming the environment. The water stored in the copper water bottle is free from any harmful microorganisms and is also laden with essential trace mineral. It won’t be wrong to say that hands down copper water bottles are the best alternatives to plastic water bottles. Now that you are aware of all the benefits of drinking from copper water bottles, what are you waiting for? 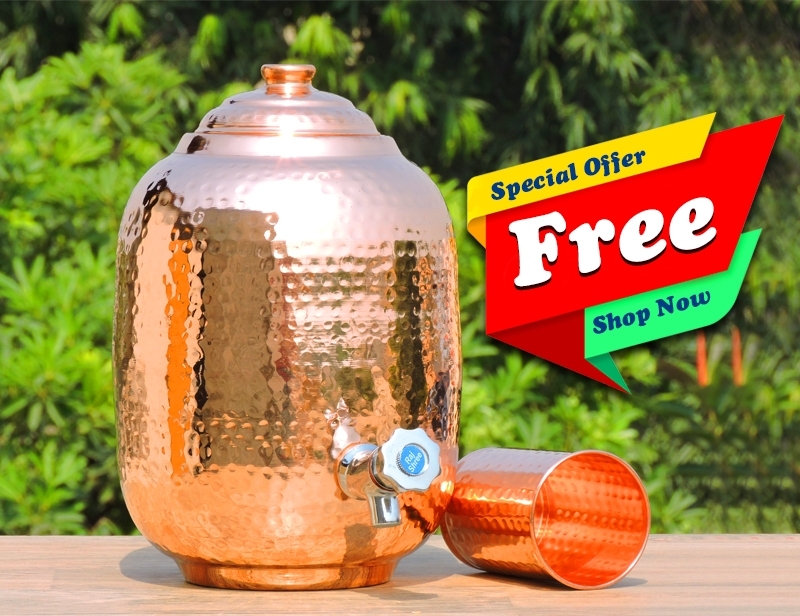 Visit our online store, copper utensils online to browse and shop for a huge variety of pure copper water bottles along with other pure copperware. 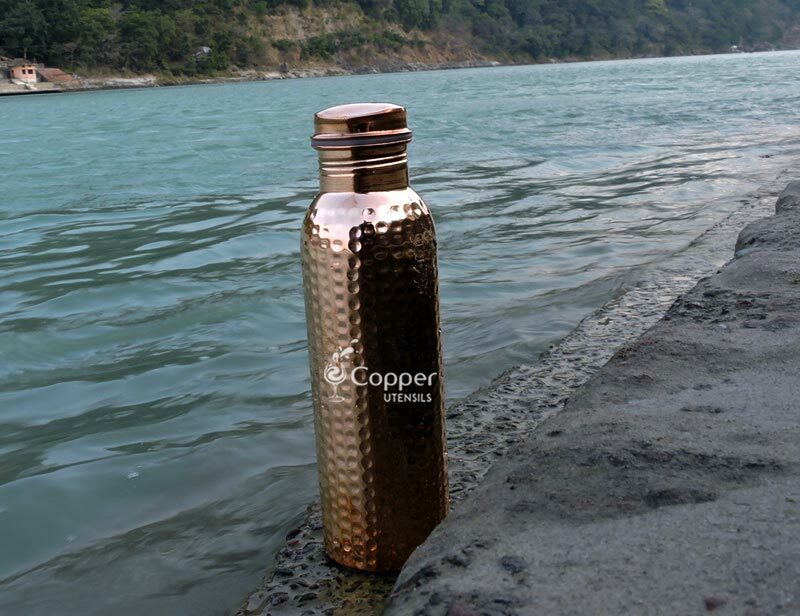 Depending on your preference, you can choose from our exclusive range of copper water bottles. At copper utensils online we try to provide our customers with amazing quality products at affordable prices. Are Plastic Water Bottles Harmful to Your Kids?